A new bout has been formed for Bellator 97 as lightweight champion Michael Chandler’s (11-0) opponent for Bellator 96, Dave Jansen (19-2), has suffered an ACL injury, which has forced him to withdraw from their scheduled matchup. Chandler will now face David Rickels (14-1) at Bellator 97, which takes place at the Santa Ana Center in Albuquerque, N.M., on July 31. 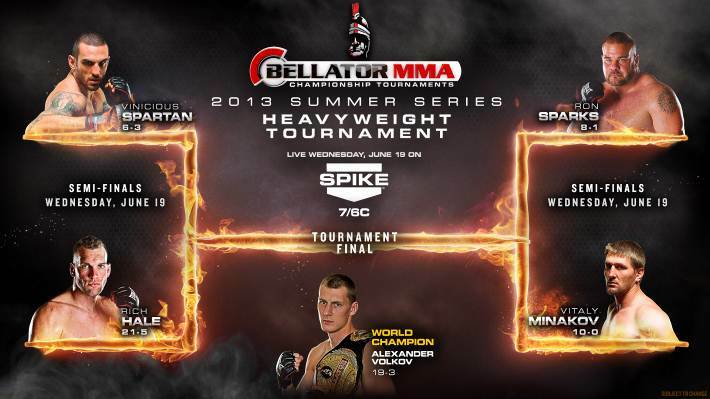 Bellator MMA kicks off their Summer Series on Wednesday, June 19 at WinStar World Casino in Thackerville, Okla. Bellator 96 features a lightweight title fight between champion Michael Chandler and challenger Dave Jansen, as well as the first round of the heavyweight and light heavyweight Summer Series tournaments. The Bellator MMA promotion will return to action on June 19 with their summer four man tournament to set off the second season on Spike TV. The main event will feature Bellator MMA lightweight champion Michael Chandler defending his title against tournament winner Dave Jansen. 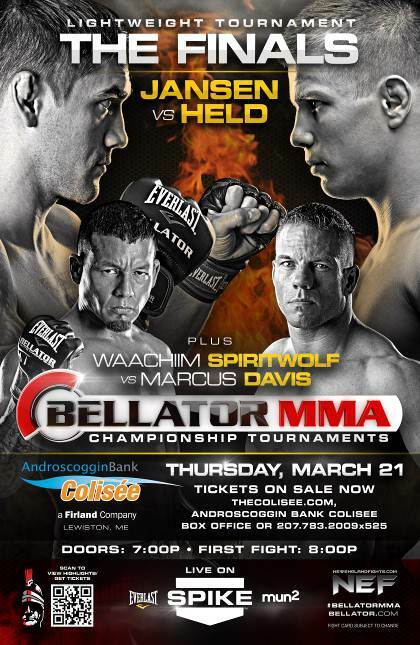 Bellator 93 takes place this evening at the Androscoggin Bank Colisee in Lewiston, Maine and features Bellator’s lightweight tournament finals with Marcin Held taking on Dave Jansen in the main event. The fighter weigh-ins for Bellator 93 are in the books and all fighters made weight without issue. Competing in the Season 8 lightweight tournament finals, Marcin Held weighed in at 155.9 pounds, while his opponent, Dave Jansen weighed in at 155.8 pounds. The Bellator 93 event is set for March 21 in Maine at the Androscoggin Colisee, and will be headlined by the Lightweight Tournament Final between Marcin Held and Dave Jansen. 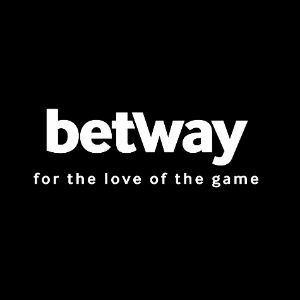 Both fighters will be vying for the $100,000 prize and a lightweight title shot. All eyes will be on Bellator March 21st as the Lightweight and Welterweight Tournaments are decided as submission ace and Polish phenom Marcin Held takes on Dave Jansen in the long awaited $100,000 Lightweight Tournament Final, while the final two Season 8 Welterweight participants square off for their guaranteed title shot, live on Spike TV. 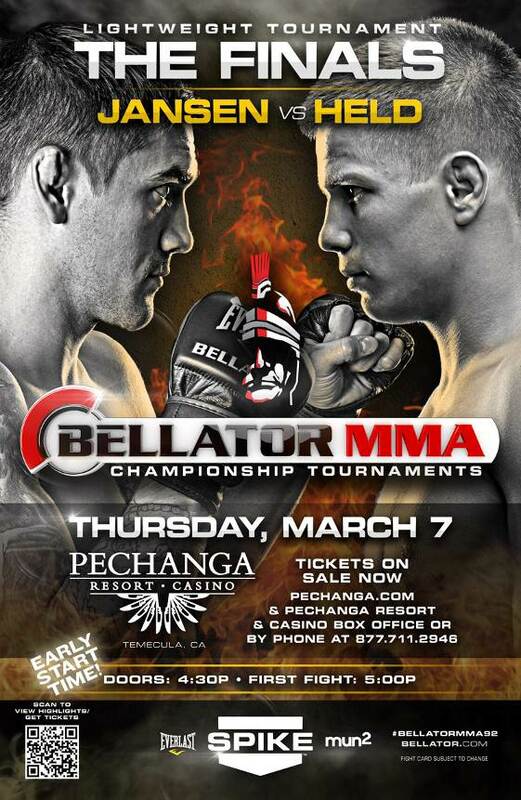 The stage is set for a Bellator MMA Lightweight Tournament Finals showdown as Dave “The Fugitive” Jansen battles submission ace Marcin Held on March 7th from California’s Pechanga Resort & Casino. 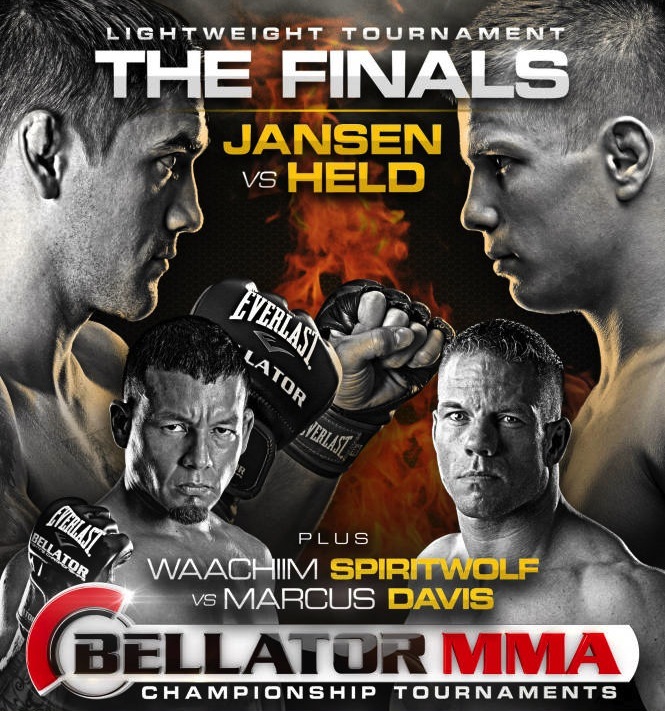 Bellator 84 takes place this evening and features the finals of the Season 7 Lightweight tournament with Dave Jansen taking on Marcin Held, as well as a heavyweight championship fight between Rich Hale and Alexander Volkov. 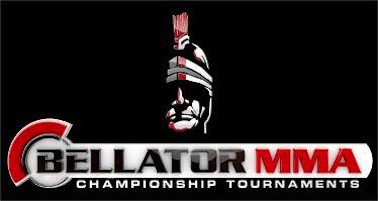 Bellator Fighting Championships closes out their seventh season tonight with Bellator 84 taking place at Horseshoe Casino in Hammond, Ind.